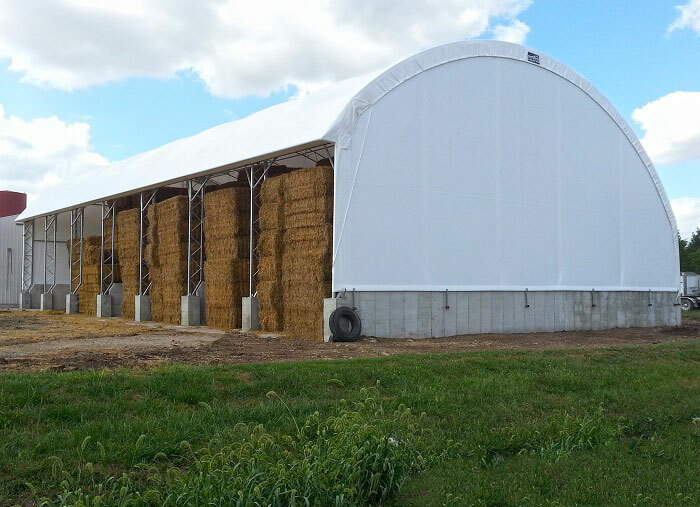 The Easy Access series of our line of Fabric Covered Truss Buildings is a new style of building. 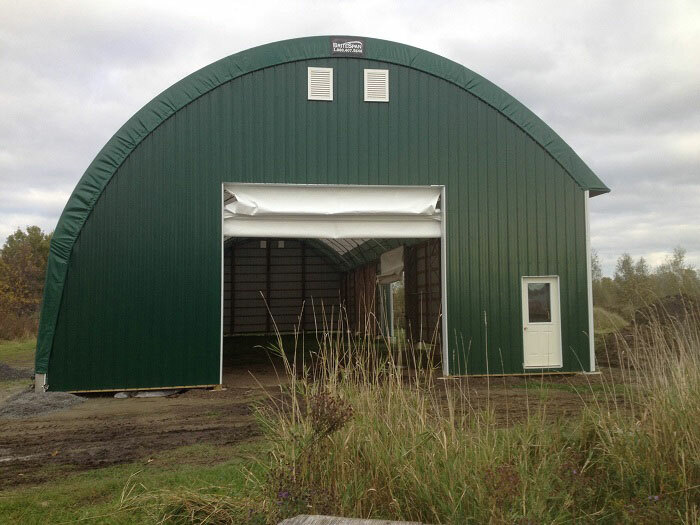 Allowing access to the building down the full length of a sidewall is a feature that provides a solution where access from the gable ends is restricted. One can orient the Easy Access to allow convenient traffic flow and access to the entire length of the structure for a multitude of applications. Where side access is a desired feature, the Easy Access offers a practical alternate to conventional structures. 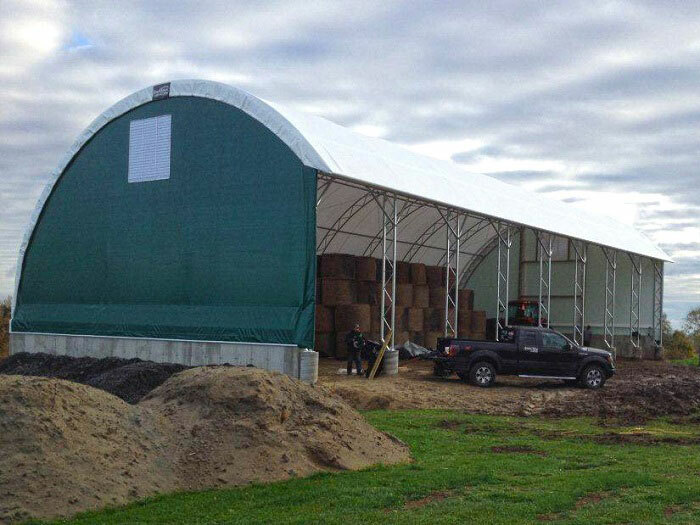 Like our other fabric covered truss structures, the Easy Access combines the long-lived ‘hot-dipped galvanized’ after fabrication and welding frame which is covered with our durable woven polyethylene fabric. The result is a uniquely functional enclosure. The long-lasting frame is difference from other suppliers in that we hot dip galvanize our trusses and truss components after all welding and fabrication has been completed. 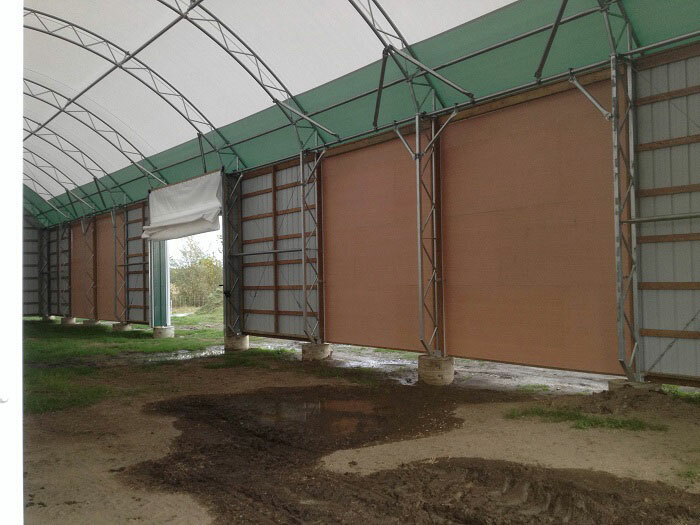 Our fabric covers are manufactured from a Synergy Non-FR and FR Fabrene Fabric. 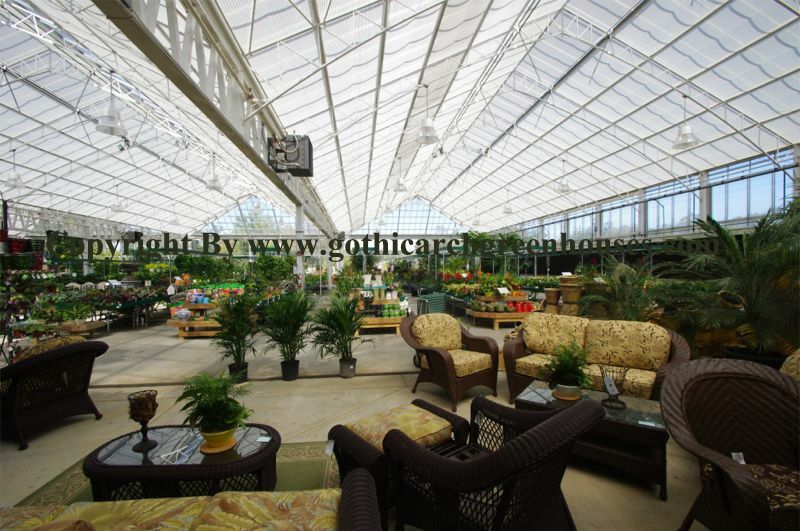 When installed correctly and maintained, fabric covers have been known to last for 20+ years. Read More » Show Less !